The Martini Bros. performed at the Kipona River Fest in Harrisburg, PA on September 1, 2012. This was their first appearance in many years at the River Fest. This Harrisburg based trio was formed in 1994. 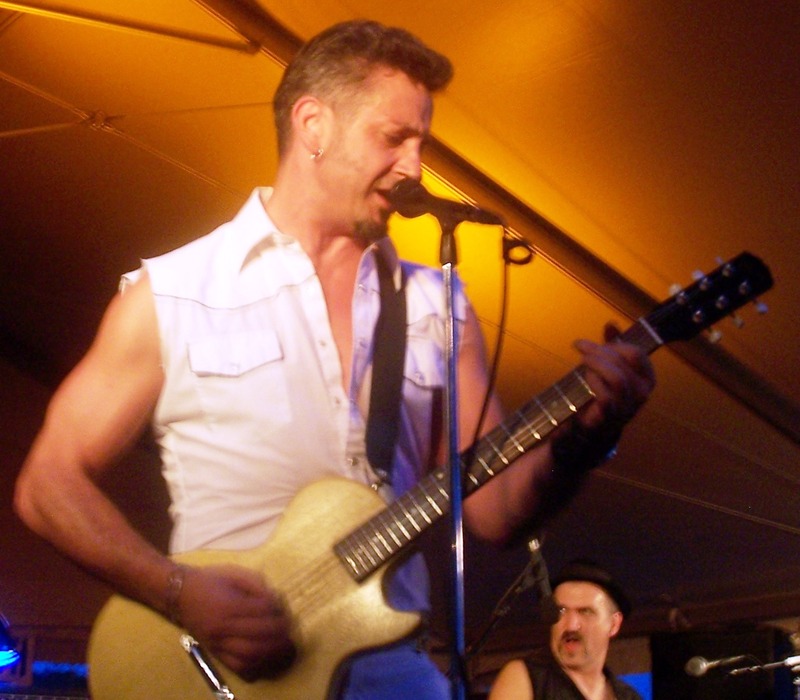 Deuce Gibb is the lead vocalist and plays lead guitar. 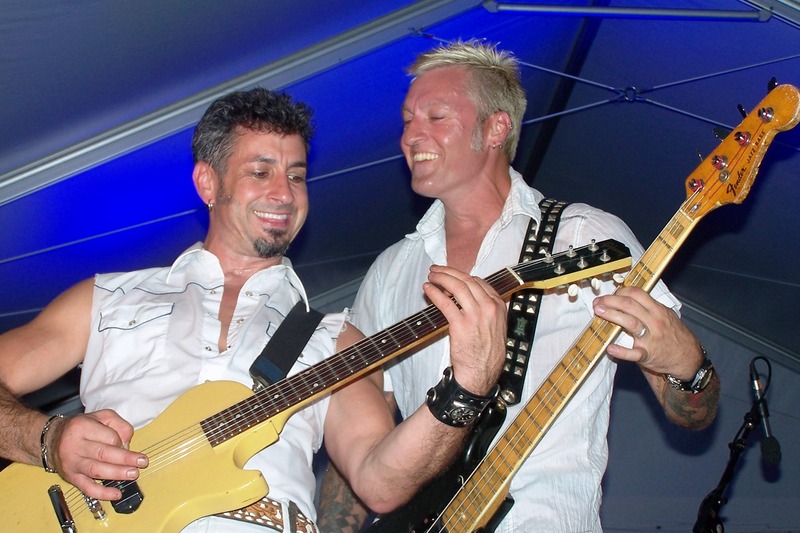 Mike Mead is the bassist and Rej Troup is the drummer. Both sing back-up to Gibb. Joining them onstage was their sons and they referred to them as their “roadies.” This group was great for a family event and there was a wide range in age of the people attending. Gibb and Mead worked the stage and the crowd encouraging dancing and singing. Troup was stationary behind the drum kit but did twirl his sticks and toss them in the air delighting the crowd. 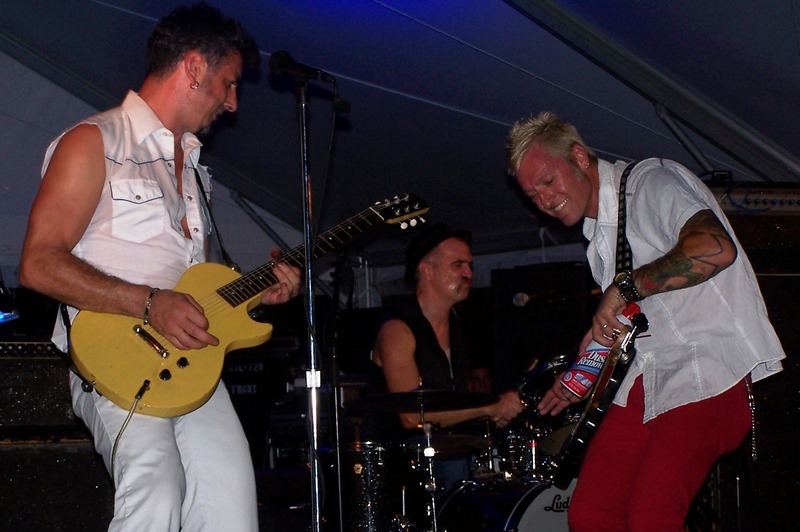 The Martini Bros. style is a mix of punk, rock-a-billy and classic rock and roll. They dressed the part in skinny jeans, collared shirts and cowboy boots complimented by multiple tattoos and piercings. The original song titled “Spinning on an Axis” had a pop/punk sound to it. They sang in three part harmony with a driving rhythm. This high energy piece was about life, love and traveling as a band. 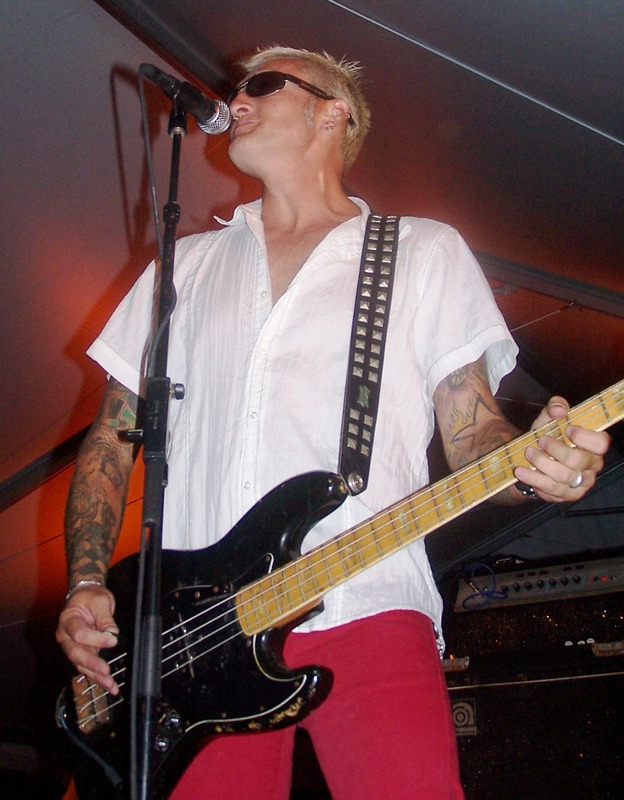 Mead captured the audience’s attention using a can of pressurized air as a slide on his bass. I found that very amusing. 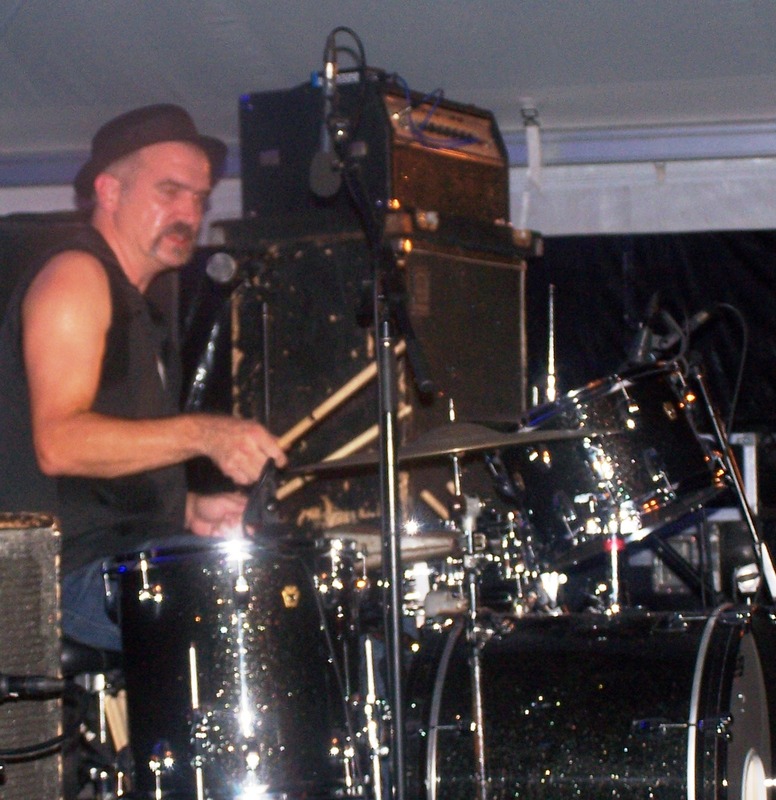 Another original song, “Get your wheels shined up” was a mixture of punk and rock-a-billy. The tune was catchy and easy to sing along to with the band. The title was the only lyrics and at a medium tempo. It was an easy song to rock to and pump my fist in the air to the beat. It was also short in length but memorable, popping into my head long after the concert came to an end. 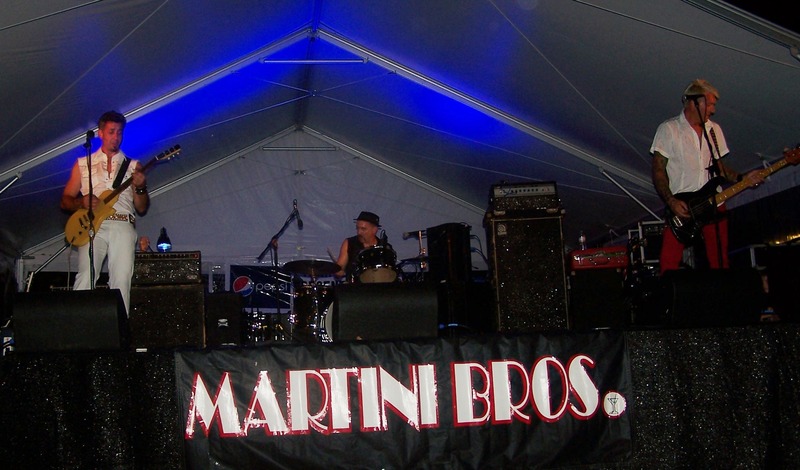 The Martini Bros. did a cover of Sam the Sham and the Pharaohs song “Wooly Bully.” The blues song was quickly recognized by the crowd and soon a large group of people were dancing in front of the stage. The band liven it up even more with guitar riffs and a drum solo. 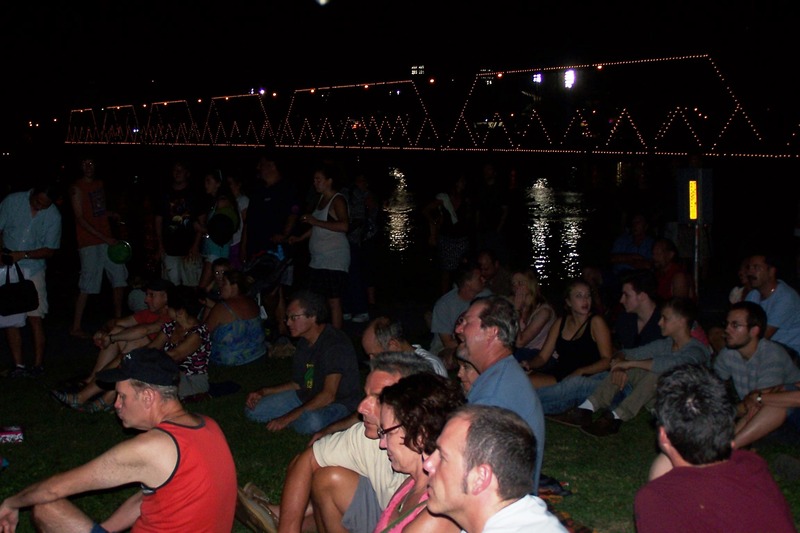 Over all, as a three man ensemble, The Martini Bros. had the entire crowd at River Fest in the palm of their hands. From their original songs to classic 60’s rock they enjoyed playing for us as much as we enjoyed listening to them. Hear them jam! Great show Bros!! ~P. 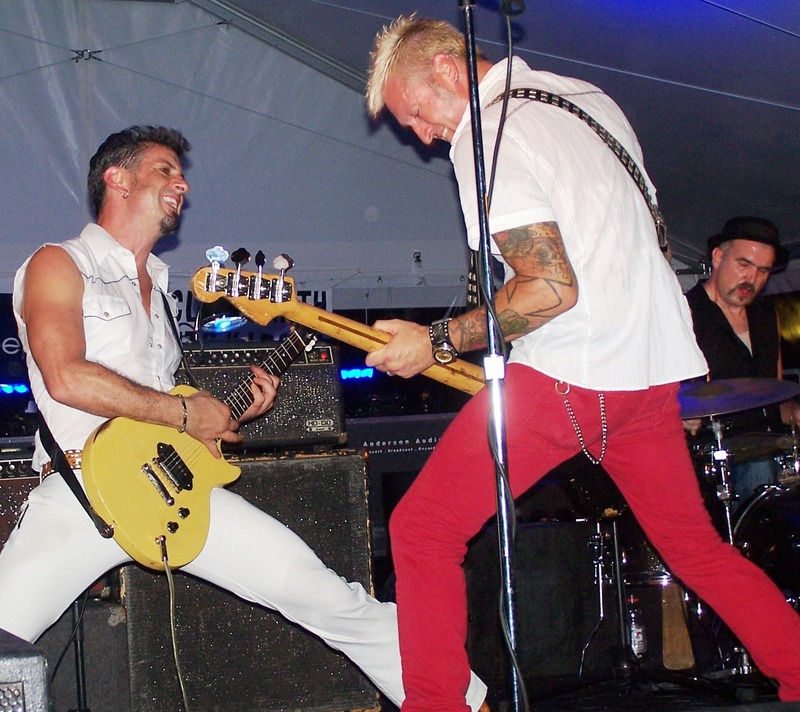 Filed Under: College, Local and Worldwide News · Tagged: Deuce Gibb, Harrisburg bands, Harrisburg River Fest 2012, Kipona Fest, Live music, Mike Mead, Rej Troup, The Martini Bros.